Quality Personnel- Our extensive recruiting and screening process provides you with qualified candidates, each of whom is carefully interviewed and tested to ensure they are the best candidate for the role. All of our employees exceed Joint Commission Standards! Committed Recruiters- Nurse Staffers will appoint a dedicated, experienced recruiter to your account. Your recruiter will be devoted to servicing your facility and understanding your every need and concern. Our specialized recruiters work diligently to satisfy clients by matching qualified candidates to the positions that need to be filled. 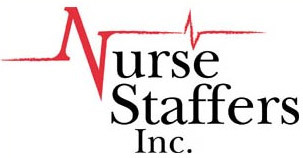 Flexible Service Offering- Nurse Staffers offers a variety of staffing services to meet your needs. We can provide clients with contract employees-on a contract, contract-to-hire, direct hire, per diem or payroll basis to accommodate any circumstance. We want to make sure our service is presenting you with only the best health care workers around. Contact us anytime, and our staffing specialists can answer any questions regarding the hiring or employment process.